Truth Hurts Promotions have been putting together some incredible gigs this year so far, making use of the fantastic local talent on offer whilst also bringing in emerging artists from across the UK to the Toon. 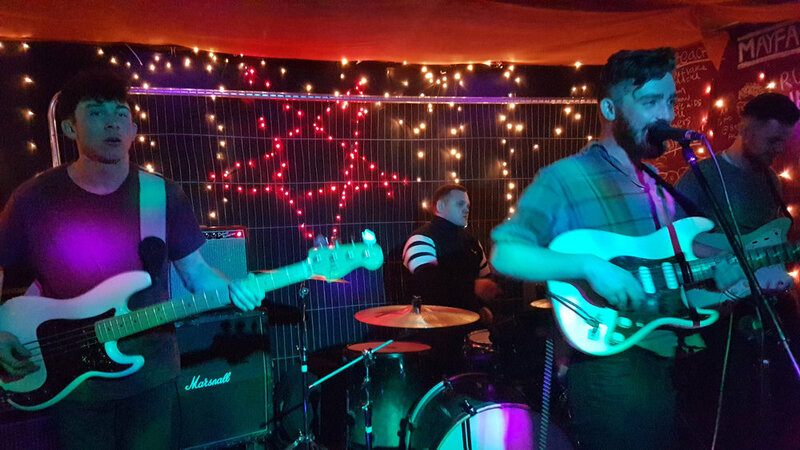 And, by making use of the charming Little Buildings in Newcastle’s Ouseburn area as well as offering a generous 5 bands for £5, their shows really are great value for money. And so, when I had the oppotyunity to come down for their latest installment I didn’t need to be asked twice! Opening the night of live music was local musician Adam Littlemore who started his set in unusual style by playing his guitar with a violin bow, using loop pedals to record the resulting sounds. The crowd intriguingly observed whilst more and more layers of riffs and unusual effects were added to create a skillfully crafted noise ranging from ambient to overabundant. Add to that the visual impact of Little Buildings’ infamous fairy lights and I was certainly left feeling a little trippy whilst utterly captivated by Adam’s performance. A local band who only recently showed up on my radar were up next: five-piece Palma Louca who had drawn in a decent crowd for their dark alt-indie sound. With their unusual mix of heavy strung-out riffs and dreamy vocals it certainly created a unique vibe. And, by throwing in a curve-ball in the form of an upbeat number at the end, the band certainly left us intrigued and excited for the imminent release of their first single. Treating us to a more classic rock sound were fellow North East band Columbia, with a set consisting of original material as well as some pretty awesome covers. Front-man John quickly found his stride and swagger, commanding the stage and his band with hip-thrusting moves and his incredibly powerful vocals. Their rockier twist on The Beatles’ 'Come Together' was something quiet special and I reluctantly admit I even preferred it to the original. All in all a highly entertaining performance that I certainly hope to experience again sometime soon. 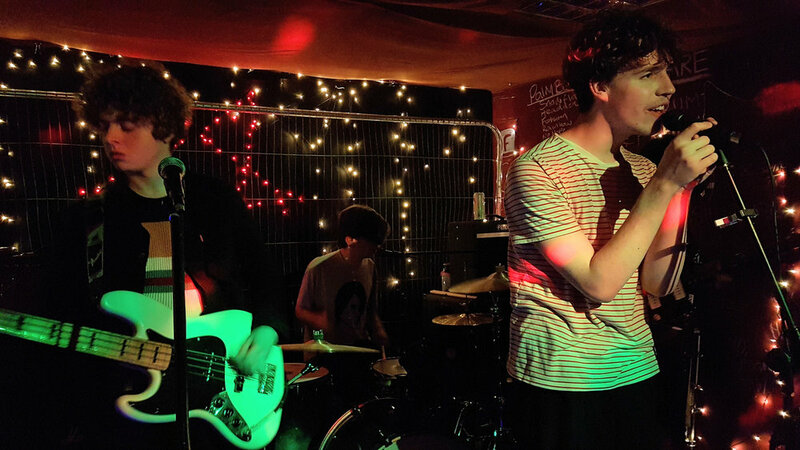 Having made the journey from Liverpool for their first Newcastle show, indie band Spinn were set on impressing from the start. As soon as lead-singer Jonny took to the stage his aloof and geeky dance moves had me mesmerised. What would have looked outrageously funny at your cousin's wedding instead came across purely awe-inspiring on the small stage and certainly made me feel rather envious. And that is before we add their infectious dream-pop melodies and candid lyrics to the mix which are bound to make many hearts swoon. Their current single 'Notice Me' is a prime example of this, with its anthemic sing-along chorus and relatable theme of unrequited love. Spinn certainly have something special that puts them very high on my 'Big things for 2018' list. 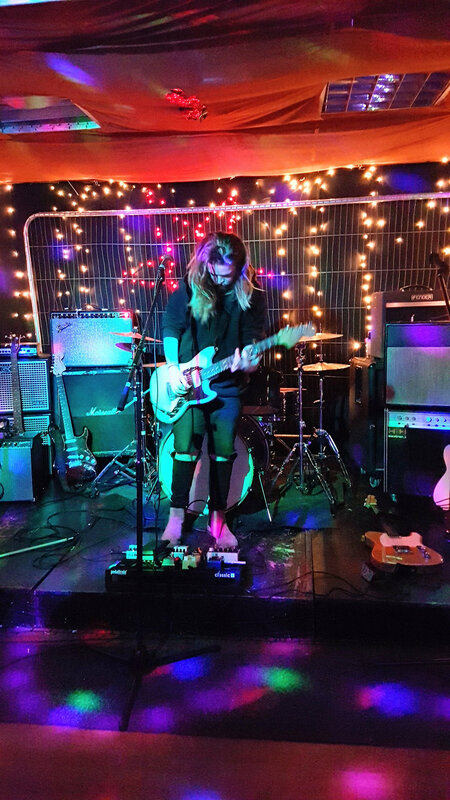 Finishing the night as loud and chaotic as possible were local rockers Sleeptape, who's vocal style can only be described as intensely beautiful yet powerful. Their pure mosh-along tunes are always bound to result in a few sore necks the next day, a fact that is particularly true for their track 'Nadir' which sounded incredible live.A few technical hitches didn’t impact the mood in the room much, in fact the resulting banter with the crowd added to Sleeptape’s appeal . The conclusion of their set and the closing of their final song mingled in with the intimate atmosphere ended the night on a high and with plenty of lasting memories. Be sure to give all acts a follow on social media as well as Truth Hurts to never miss out on their upcoming shows.